When we think of IRS tax debt problems, it’s easy to imagine everyday Americans struggling with back taxes. However, even high profile people such as celebrities don’t have the best money management practices and can get in trouble with the government. 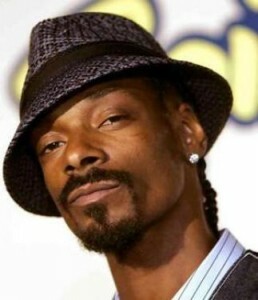 Snoop Lion – formerly known as Snoop Dogg – recently settled his IRS debt. Snoop Lion owed a whopping $546,000 tax lien for failing to pay taxes in 2009 as well as 2011. Instead of taking advantage of various IRS debt solutions, Snoop Lion was able to pay his IRS debt in full. Snoop Lion isn’t the first Hollywood star to struggle with back taxes. Other celebrities who have been under IRS scrutiny include Bow Wow, Flo Rida, Lil Wayne, Lil Kim, and the Sugar Hill Gang. Furthermore, this isn’t even the first time Snoop Lion has owed money to the IRS. In 2008, he owed $4,760,000 followed by $101,952 in 2009 and $444,317,317 in 2011. While Snoop Lion has had money management issues that have lead to back taxes, one of the positive aspects of each situation is that he has always paid his IRS debt once the tax lien was brought to his attention. Likewise, people struggling with IRS debt should always seek a solution as quickly as possible. By being pro-active about the situation, people signal that they are seeking to pay off the debt in good faith and will avoid the accumulation of interest over time. For people who are self-employed, independent contractors, or don’t otherwise have taxes withheld from their earnings, it’s important to remember to save enough money for next year’s taxes. By consistently preparing for taxes, people will be able to reduce their chances of owing IRS debt. Common wisdom encourages people to save approximately one third of their yearly earnings for tax considerations. Money management similar to Snoop Lion’s strategy will allow tax payers to make their payments on time and settle any tax liens.